Feeding birds has provided year round entertainment and enjoyment for many people over the years. Setting up a wild bird feeder is a great way to attract colorful and beautiful birds to your yard. Along with the pleasure it gives you, the birds will also benefit, especially during a bad winter season when food becomes sparse. The birds will come to depend on your wild bird feeder. There are a variety of wild bird feeders available. It’s important to know what type of wild bird feeder will attract the birds in your location. The different styles of wild bird feeders are window mount, tray or platform, hopper, tube, nyger®, suet and hummingbird feeders. A window mount wild bird feeder has a small plastic container that is attached to your window with a suction cup. Another type of window mount is a platform wild bird feeder that would be hooked to the frame of the window. Window mount feeders provide a close-up view of your birds and are the safest for birds–preventing window collisions. These feeders will attract chickadees, titmice, finches and sparrows. This type of wild bird feeder is the easiest to access and they should be cleaned daily. A Tray or platform wild bird feeder will attract the greatest number of birds to your bird feeder. The disadvantage of a tray or platform wild bird feeder is that there is no protection. The seeds may get wet and could develop fungal and bacterial growth. To eliminate these problems the wild bird feeder should have a drainage hole in the tray or platform and you should only put out enough seed for one or two days at a time. Keep the wild bird feeder clean because the surface can become soiled as the birds stand in it to feed. 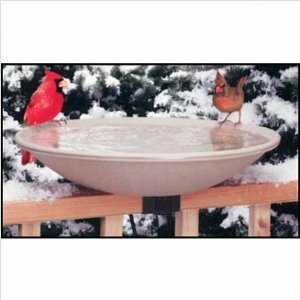 A tray feeder will attract ground feeding birds such as cardinals, juncos, doves, jays, blackbirds and sparrows. A hopper wild bird feeder will attract finches, jays, cardinals, buntings, grosbeaks, sparrows, chickadees and titmice. The advantage of this feeder is that it protects the seed and can hold several days of food. The disadvantage is that if the seeds get wet the birds could come in contact with bacteria and fungus that grows on the seeds. It is much harder to clean the hopper feeder than a platform or tray feeder. Tube feeders are hollow tubes that contain the seed. There are a variety of styles available. Some with smaller holes will keep jays and grackles away while attracting smaller birds such as grosbeaks, sparrows, finches, titmice and chickadees. There are also wild bird feeders that have the perch above the feeding holes to accommodate the birds that can feed upside down such as goldfinches and chickadees. A Nyger® wild bird feeder is a tube feeder with very small holes. Nyger® is a small seed that is imported from Asia and Africa and is a favorite food for purple finches, house finches, gold finches, pine siskins, juncos, sparrows and towhees. A suet wild bird feeder consists of a wire mesh cage that contains suet cakes. Suet cakes contain hardened lard with seeds in it. The fat is an excellent nutritional supplement for the birds. This type of wild bird feeder will attract cardinals, nuthatches, titmice, woodpeckers and blue jays. A wild bird feeder that contains a sweet liquid nectar will attract hummingbirds. You can buy a prepared mixture or make your own by combining 4 parts water to one part sugar. The nectar in this type of wild bird feeder can ferment very quickly in warm weather so please change the mixture frequently and keep the feeder clean. In the eastern United States only the ruby-throated hummingbird can be found. Sixteen other species can be found elsewhere in the United States. Now you can choose your wild bird feeder and sit back and watch those beautiful birds!